Alex J. Cavanaugh: Ninja News, Book Announcements, November Movie Preview, and I’m in Southern Writers Magazine!!! Ninja News, Book Announcements, November Movie Preview, and I’m in Southern Writers Magazine!!! I’ve been sitting on this news for a while, but I was interviewed by Sylvia Ney for Southern Writers Magazine - and the November issue came out yesterday!! My first major magazine. Whoa. Nope, never planned ANY of this when I started writing. Thank you again, Sylvia! If you’re interested, you can check it out HERE. Cherie Reich has two books available now – her novella Nightmare Ever After and a short story in Spells: Ten Tales of Magic. That book also features a story from Jeff Hargett. Congratulations, both of you! Susan Oloier’s new book is now out – Outcast. Congratulations, Susan! 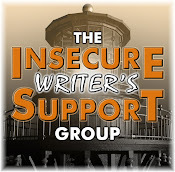 Don't forget next Wednesday is the next posting of the Insecure Writer’s Support Group! 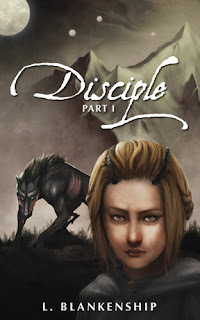 L. Blankenship has a new book available today – Disciple: Part I! Find the book here: Official Blog, Amazon Kindle, Amazon Paperback, Kobo, and Goodreads. 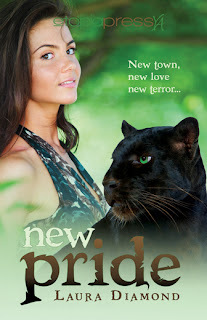 Laura Diamond has a new book out – New Pride! Find Laura: Blog, Website, Twitter, Facebook, and Amazon. And for those of you still wondering about the big event that will take place December 10-12 – trust me, it’s like nothing you’ve seen before. Be watching November 19 for the announcement. Here are the upcoming movies for November! I’ve thrown in a few DVD releases as well. As always, descriptions courtesy of the IMDB. Snarky comments by me. 6 - DVD - Arthur Christmas – Fun and cute. It’s already shattered records in the UK – this is a MUST see! Every month has a Gordon-Levitt movie – he’s one hard working dude! DVD - The Amazing Spiderman – a MUST purchase on Bluray 3D! 13 - DVD – Brave – Looking forward to finally seeing this one. 20 - DVD - The Expendables II – Stupid fun and I have to see just how stupid! I’ve never read the book, but it explores spirituality in way that can be appreciated by any faith. Coupled with the amazing visuals in the trailer, that’s all I need to know! Another must-see. Excited about the new releases? Still wondering about December 10-12? As surprised as I am about Southern Writers Magazine? And what movies are you looking forward to this month? Congrats on the magazine interview, Alex! I'm a big fan of biopics, so I really want to see Lincoln. Looking forward to your super duper blogfest too! Congrats on the interview, that's awesome. Lincoln sounds really interesting! Great news about the interview, congrats and am looking forward to this mysterious blog fest! A magazine interview, Alex that's brilliant. Congratulations. I'm interested in several of these movies, which is unusual for me. Nice preview. And congrats on the interview! Seen Expendables 2 (good), Skyfall as well good but underwhelmed! Soutern Writers Mag? WOW. That's too cool. Thanks, Jamie! Lincoln looks good with the cast and director. Suzanne, I might not seem so brilliant after you read it, but thanks. Elizabeth, some sharp movies this month. And thanks! Lurker, thanks for the heads up on those two. I can't wait to see the new Bond flick. Congratulations to Laura, L. Blankenship, and you! Many congrats on the interview and great preview,Alex! Looking forward to the blogfest stuff! Congrats on the interview and thanks for the reminder about IWSG. Oh my totally awesomeness!! So cool you were interviewed. Major congrats to you, Alex! Congrats on your interview. Its super news. You deserve lots more success. Congrats on the interview - that's big. I want to see Life of Pi. The previews are gorgeous. I'm already loaded up for IWSG. I've said it before and I'm gonna say it again - one of these days you'll be making a cameo appearance in a movie based on blogging... mark my words! Congratulations on being in a magazine! That's so exciting! I'm excited to see Life of Pi, I read the book and it was fantastic. Congrats to you both on the profile in Southern Writers! Well done on getting interviewed! Great news. Congrats on the magazine interview! That's great news! I want to see Lincoln. Have a great weekend! Congrats on your first, of many no doubt, magazine interviews Alex. New Pride reminds me of Cat People on a good way. Skyfall had a long road, so I hope it breaks records. Yay for your magazine feature!! How brilliant is that!??!?! I am so revved up to see Skyfall next Monday I'm near enough wetting myself. Ahem. Congratulations on the Magazine, Alex! Woot for you. Congratulations on the magazine interview! I didn't know Spielberg directed Lincoln. It's probably worth seeing. Cindy, don't want anyone to miss next Wednesday. Michelle, that would be cool. But if it's a cameo and I'm a Ninja, would you even know it's me? Kitty, a couple more days! I'm SO looking forward to seeing the Abraham Lincoln movie. It's freaky how much Daniel Day Lewis looks like Lincoln. Hope it's a good one. Congratulations on Southern Writers! How awesome for you. :) Can't wait for the Big Announcement, either. Have my calendar marked. Looking forward to Skyfall and Lincoln, but I may have to wait since December is right around the corner and all of my definite must sees are being released then. Congratulations to you and Sylvia! There are several I want to see, but I will see Bond for sure. Yay Alex! Great news re: Southern Writers Mag. Congrats to Susan on her book. Love the title. Life of Pi is an amazing story. I see they have a new cover for it. Congratulations again and thanks for the link! BOND! I want to watch Skyfall repeatedly. I just hope my dayjob will give me the opportunity to do that. Congrats on the magazine. That's exciting! Looks like some interesting books coming out! You're a star! Congratulations, Alex, that is so cool. Any chance the interview will be available to read online? Julie, you can download the digital copy. Very cool about the magazine interview! I am excited for SKYFALL, LINCOLN, and LIFE OF PI. Have a feeling there will be lots of movie watching over the holidays, not to mention all of my holiday faves which I am happy to watch over and over. Alex, that is such wonderful news about you being in the magazine. Congratulations and may that be the first of many more to come. Wow sweet, Alex! A hearty handshake and super congrads on the interview. I cannot wait to see Lincoln. It sounds like it will be bodacious. Congrads Susan, L., and Laura. Yippee for their books. I need some new reads too. I want to see the new 007, not sure about the rest. The book Life of Pi bored me. As for the movies, Craig is definitely not my favourite Bond, but I'll still see Skyfall anyway. Hey Alex, congrats on being featured in Southern Writer's Magazine. I'll head over to check it out. Congrats to Cherie, Jeff, Susan, L. Blankenship and Laura! Looking forward to Skyfall, hopefully seeing it next week. Kudos and congrats to all the new releases as well. Congrats about the interview in Souther Writers Magazine! That's awesome! Thank you for mentioning my newest releases! And I can't wait to see Skyfall. Liz, there's some quality movies this month. Karen, that would be cool! Hilde, if I knew how, you could have it! Thanks, guys! That magazine interview is just too cool. Congratulations on the interview. I'm excited to read it. The next thing you'll tell us is a movie is in the works. Congrats on your interview! That's awesome! Excited for all the new releases in books, and Skyfall, plus Wreck It Ralph (a family movie). Thanks, Alex. I've got to check out some of those new releases. 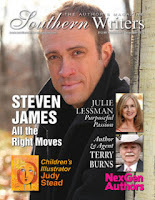 And I enjoyed the interview in Southern Writers. I look forward to any movie with Daniel Day-Lewis or Joseph Gordon-Levitt. Also need to catch Skyfall and Brave (and I'm sure I'll see Life of Pi; my wife loved the book). And to Susan and Laura on their releases. Cannot wait to see SKYFALL! Congrats on the interview, Alex! You know, I'm just going to love telling people I knew you when...hey I'm NOT above name dropping. Is that you on the cover, Alex??? Ow, ow! I bet you photoshopped the name "Steven James" just to protect your identity. But really, that's too awesome. And a big deal! Stoked for you! OH MY GOSH, CONGRATS ON THE INTERVIEW!! That's so awesome! COOLEST NEWS, CAPTAIN!! that is it, you are big time and we and me are honored you are in our world. I just got word about the HOBBIT scores... outside of SKYFALL, I am spent for films. How did you miss Brave? Suze, I want you happy! And it's beyond anything I ever imagined. Tyrean, I forget to include Wreck it Ralph and the movie's getting good reviews. Nate, doubt that will ever happen. Elizabeth, it may not carry much weight, but feel free to drop my name. Thanks Morgan, but it's not me! Thanks, Jess. And I'm looking forward to the movie. Thanks, Jeremy. And you have some inside scoop on the Hobbit music, huh? i'm less than 100 today! getting better! and i won a couple of susan's books! woot! i want to see brave too! movies seem to come & go so quick! is looper still in theaters?! I'm following your career with great anticipation, Alex. Congrats on the magazine article. And thanks for sharing all these new books. Yes, Lincoln, the movie looks good. Congrats to everyone on their book releases! And to you, as well, Alex, for being recognized in your first magazine article! Don't suppose they're including a photo, huh? So many movies. That last one looks pretty good though I've never heard if it. My friend will likely drag me to the last Twilight flick as its become a tradition for us to take the neighborhood girls. I read Life of Pi a long time ago. It was okay. Didn't like it enough to want to see the movie. There's some great movies coming out this month! Looking forward to seeing all of them. Congrats on the Southern Writers magazine interview! All the November releases look super interesting. Congrats on mag interview Alex and thanks for responding to my post request. Congratulations on the magazine interview. That's really cool. I read Life of Pi. Mostly I found it really boring. And the ending... blech. I'll pass on the movie. Congratulations on the magazine coverage. Sounds like an interesting collection of movies coming up. I always like the Bond films and the Lincoln film might be interesting. Tara, congratulations on winning the books! Joylene, don't hold your breath! Sheena-kay, I'll work you in somehow. Excellent, congrats on that interview. Major kudos. Awesome job with the interview :) And SKYFALL SKYFALL SKYFALL! Congrats on the interview! Will check out the link. Thanks for all the info on what's happening. Congratulations on the interview! That's fantastic. Cherie's books are awesome! My husband is very excited for the new James Bond. This month, no time for movies for me. Have a good weekend! capt, they are releasing two editions that have same stuff, just one has more extended tracks... i can share that much... though both have different tracks, so of course you will have to get both... and... and this is the first of three... then the full extended will follow. I'm so excited for you about the magazine article. No surprise..you are awesome! I can't wait to see what's up with Dec 10-12. Knowing you, it's something incredibly special. You've always got so many things! I never know which one to comment on. I'm hoping to talk mom into letting me take the kids to Life of Pi. Neat on the interview, Alex. congrats. I'm looking forward to seeing skyfall. SC, you are excited, I can tell! Jeremy, different tracks? That is sheer trickery! Donna, I hope people think it's special. Matthew, sorry for the overload. The new James Bond Skyfall looks exciting, must spread the word. Congratulations on the interview dude but then you're the man, our leader, our super ninja captain! Congrats on the article. I'm not surprised at all. What's it feel like to be a celeb? Congratulations on the interview! You truly are THE Ninja warrior. I'd love to check out the new Lincoln movie. I've been a bit of a Lincoln buff since I was about eight years old. It's waxed and waned over the years, but I'm always interested in a good book or film about President Lincoln, the Civil War, and the Lincoln family. Randi, I'm one of those tiny dwarf stars. Elise, thanks and I'll wait for reviews on that one. Carrie-Anne, I think it will be a good movie. I'm hopping over to read the interview. I found the book, Life Of Pi, extremely boring. It's a must read in lots of high school literature courses. Looking forward to a few of those movies. Congrats! Now can we call you 'Celebrity Ninja'? A lot of good books available. I'll have to live to be 103 to polish off my TBR list. Some interesting looking movies also. Congratulations on this important interview in Southern Writers Magazine. I wish you all the best. I've been meaning to watch Brave for a long time, but just haven't gotten around to it. Also wondering how good The Amazing Spider-Man actually is, since I doubt it could be as good as the Spider-Man movie from 2002. Congrats on the magazine article, can't wait to check it out. Thanks for reminding me about IWSG, don't want to miss one and I have been so busy lately, thank god you are my regular read for the day and always there for all the important news. Hope you have a great week-end! Great blog! Life of PI looks to be amazing! Susan, hope the movie isn't boring. Siv, thank you - appreciate that. Alex, congrats, that is great news! You should be proud of yourself. I still have a lot of October releases to catch up to, but November looks even more exciting. Being a huge Ang Lee fan, Life of Pi is at the top of my list. How exciting! Your first major magazine coverage -- now that's really an accomplishment and something to celebrate. You'll enjoy Brave -- and watch the girl's hair, 'cause it's practically a separate character, it's so visually alive. Congratulations on the magazine article. That's awesome! Christmas. The kids would probably enjoy that one. Congratulations on the magazine interview; what a milestone! Congrats on the interview! You TOTALLY deserved it! I'm still wondering about that blogfest! My only guess right now for the theme of that blogfest is we celebrate the good ole' times in the blogosphere. Congratulations to Cherie, Susan, L. Blankenship, Laura and to you as well, Alex! So much good news going around lately. It's exciting! Congrats on the mag interview! I follow her blog, too. When you're in demand, take advantage of it. Curious about the Nov. 19th announcement, I am. I started reading Life of Pi but never finished it. The movie looks interesting--I'll have to get around to completing the book first, though. Congrats on the magazine cover! Can I buy at Books-A-Million in Florida?? How exciting for you to have an interview in the magazine. *claps* Congrats, Alex! Definitely going to see Skyfall and I'd like to see Life of Pi as well since I read the book and really liked it not to mention the trailer looks utterly awesome. Congratulations on the magazine interview! That's exciting! DDL looks amazing in that pic. Congrats on the interview. Those book covers look awesome. When you've been interviewed for a magazine, you know you're IN! Congratulations. Thanks George! And I've missed your reviews. Livia, thanks, and you'll find out soon enough. James, no idea! You can look, and if not, it can be purchased from their site. MsHatch, the trailer is incredible. Michael, he really fits as Lincoln. Congratulations on the Southern Writers appearance Alex. I would think Life of Pi would be about who is the last one not eaten by the others. Brave was fun. Not as good as other CG films but it didn't need to be. I gave it a solid B. We'll buy it on DVD. I haven't read Life of Pi, either. Would like to, though, before I see the movie. Congrats on the magazine article!! Not at all surprised. You are a rising star. Hi Capn Ninja! Congratulations on the feature. Looks like I picked a great day to try getting back on track with things. Take care. I look forward to reading everyone's blogs again. Woo hoo! Congrats on the magazine interview!!!! The new releases look great, congrats to the authors! Congrats on the magazine interview! Not surprised, but very cool. Still wanting to see Argo. Have a great weekend Alex! Fantastic news about the interview! Hubby and kids saw Skyfall yesterday - I'm not a fan of James Bond, so I went to work :-) They enjoyed it. The magazine interview sounds exciting. Congrats! Loooks like there are a lot of wonderful new books out there in the reading world. As for movies- I can't wait to see Lincoln. Stephen, there is some eating of animals involved. Dafeenah, thanks and good to have you back! Annalisa, that's good to know. Hey Alex!! Major Congrats on the interview! That's fantastic..As far as the movies go, I'd like to see Lincoln and Life of Pi...I have the book on my reading list, I'd like to read it before I see the movie, but the movie looks soooo good. Hey, so, are you telling me that I didn't miss the IWSG posting? It's NEXT Wednesday? That's good news if it be so! Congrats again on all your success! lol! Nevermind! I'm dumb, or confused...I had it in my head that the IWSG was the first of the month...it's the first WEDNESDAY right? So I really didn't miss it..I feel like Scrooge on Christmas morning, lol! My girlfriend has been hinting that she wants to go see the new James Bond movie. I'll make an effort when she has some time. Aw, Brave. I've not laughed so hard in an animated movie since Tangled. I'm considering buying it when it comes out. This is my third time seeing New Pride. I'm going to have to check it out. Sounds intriguing and I love the cover. It was a great interview too. I really enjoyed reading it and getting to know you better! Hope it brings you lots of new fans. Skyfall, Lincoln, Expendables II, and Killing will all be on my list to see. Congrats on the interview and thanks for all the awesome book news. I'll have to check out some of these titles. A magazine article? Wow! Congrats to you on that one! 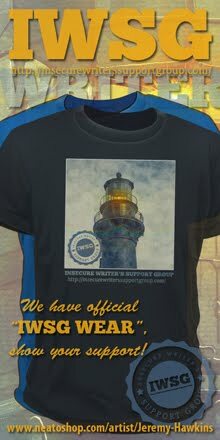 Looking forward to ISWG this month. Can't wait to read Disciple II. Can't wait to see Brave, either. I missed it in the theater. And finally, I am so curious about the Nov. 19 announcement. I read the praisals for Skyfall but I'm no fan of James Bond movies. Thanks, Eve! First Wednesday - you didn't miss it. Jack, I look forward to watching it then. And thanks! Jess, you got the magazine? Wow! Thanks. Ink, I noticed you had a lot of projects going on at your blog. November 19 is just two weeks away. Edi, a movie would be great! Thanks. Back from Iraq and back in the comments section! Congratulations on getting into Southern Writers. That's a great magazine. Please keep us informed of new blogfests. I haven't done one in a while and since I won't be on the road for at least a month I actually have the time now! I've yet to see Skyfall, but have heard nothing but great things about it and will hopefully get to see it before it leaves the cinemas as I'm sure it won't compare by the time it gets to the smaller screen. Way to go on the interview, dude! I'm looking forward to the new Bond -- it's gotta be better than the second one. Have you heard Adele's "Skyfall"? Awesome stuff. I have tried to read Life of Pi at least four times. Just couldn't get into it. Movie? Hmmm? Maybe :)? Javier Bardem say is the best of the bad of the series 007. I haven't seen the new Bond movie yet, but recently, I've re-seen some of the old ones on TV. Still entertaining. Kind of a genre of its own. For some reason I thought your blogging day was Sunday. My bad. The Lincoln movie and Pi look good to me. Congratulations on your interview. A mystery magazine too. It appears they are expanding into SciFi. Way to go. oh congrats re Southern Writers Magazine!!! How wonderful! Oh wow congrats to you Alex on hitting the big times :) Just like God to far exceed our imagination. Sean, I'm co-hosting one on November 16 and there's another BIG one being announced on November 19. She Writes, never read it, but the movie looks good. Thanks, Nancy. I guess it was just because I live in the south. Congratulations, Alex. I'm very happy for you. I will check that article out. I am a huge Bond fan, so the whole family is looking forward to this one. The buzz has been great, so I hope it is. Lincoln looks good, too. Aha, my human friend, 'apawlogies' for my delay in commenting. Have just finally calmed down from the latest blast of fireworks that silly people have been setting off in the streets. Thanks for all the other links and well done to all those who have out new books. My human, Gary, has been lined up to take over as James Bond in an upcoming movie. Take care, must go now. Congrat's on the Southern Writers interview! I hope you'll stop by and pick up your Super Sweet Blog Award. I know this month we are all busy with NANO, but one question we all want to know the answer to is -- If you had a sweet nickname, what would it be? Congratulations on the magazine interview, that's so cool! I'll make sure to check it out. I'm not a huge Bond fan, but my husband is, so I'm sure he'll be happy to know about the movie. I was waiting for Perks of Being a Wallflower, but--sadly--it didn't come out in a single theater in my area. SO bummed. So I guess I have to wait for the dvd. James, thanks, and they both look good. That's right, Penny - Superstar! Sorry about all the fireworks. And if I was the centerfold, no one would buy it. Congratulations! You deserve all the recognition you receive and much more. Your support and encouragement has helped us all. I am super impressed by the mag interview! That is awesome.